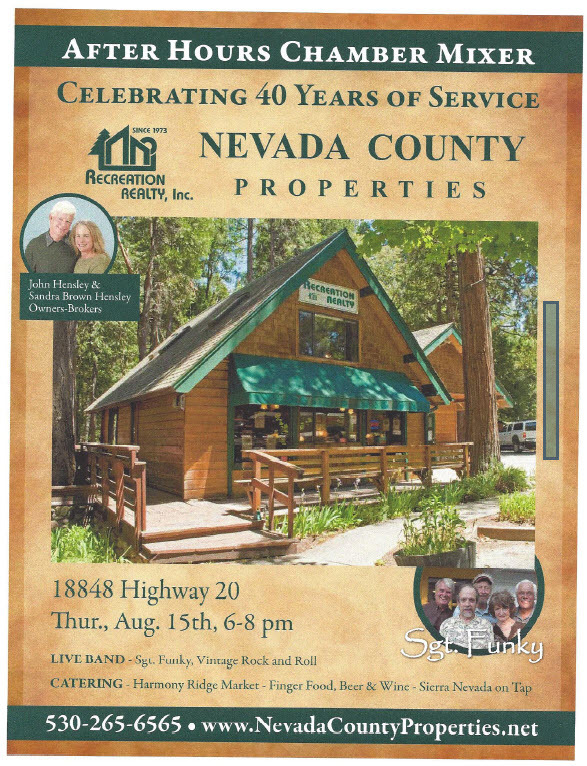 Nevada County Properties is proud to celebrate our 40th Anniversary of serving western Nevada County’s real estate needs! We threw a party and celebrated with friends, Chamber members, and associates on August 15! It was great fun to have friends from around the State come to celebrate with us! Sgt. Funky Band played Vintage Rock and Roll throughout the event. 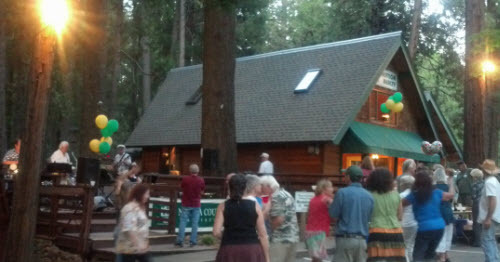 The forests around Harmony Ridge rocked as we celebrated! Harmony Ridge Market generously donated gift certificates for raffle prizes! 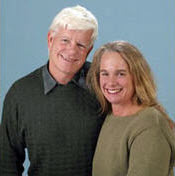 In 1973 John founded Recreation Realty in what is still our “home” location across from the Scotts Flat Lake turn off on Highway 20, 5 miles north east of Nevada City. 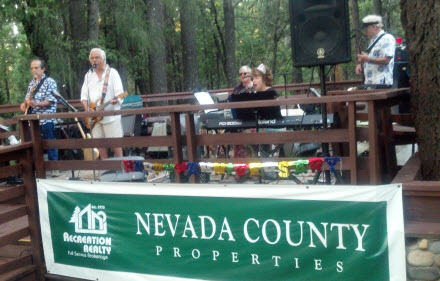 We added the name Nevada County Properties as we expanded our services. We are privileged to serve a wide range of clients for 4 decades. Many are now dear friends. Whether an old friend or a new introduction, we are committed to providing you with the high quality of service Recreation Realty has always been noted for. Sgt. Funky Band – You rock! Many thanks! Thanks for a great turnout of friends and community!